Yeow Meng Chee is Professor and Chair of the School of Physical and Mathematical Sciences at the Nanyang Technological University, Singapore.He is also concurrently the co-director of the Data Science and Artificial Intelligence Research Centre at the Nanyang Technological University. Marston Conder is a Distinguished Professor of Mathematics at Auckland University, and the former co-director of the New Zealand Institute of Mathematics and its Applications. His main research interests are in combinatorial group theory, graph theory, and their connections with each other. He served as president of the New Zealand Mathematical Society and as president of the Academy of the Royal Society of New Zealand . The Ninth Shanghai Conference on Combinatorics (9SHCC) will be held in Shanghai from May 24th to May 28th, 2017. There will be 50-minute invited talks and 25-minute contributed talks on combinatorial enumerations, combinatorial design theory, combinatorial matrix theory, finite geometry, algebraic combinatorial theory, combinatorial algorithm, graph theory, coding theory and related topics. 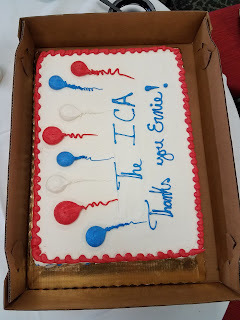 Thanks to our Registrar Emeritus! Ernest Reut D'Auteil has generously served the ICA as its Registrar, and previously as Editor of the BICA and as a member of Council. As of March 1, 2017, Spyros Magliveras will be the ICA's Registrar and Ernie will be our Registrar Emeritus. 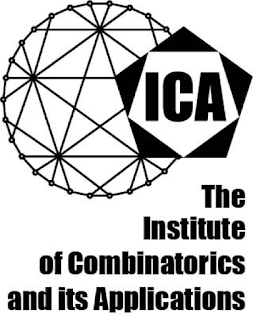 The meeting is scheduled to be held at the48th Southeastern International Conference on Combinatorics, Graph Theory & Computing at Florida Atlantic University in Boca Raton, Florida. The meeting will be on Wednesday, March 8, at 11am in the Grand Palm Room.